Work on the other tenor, the flat top Zircote & ancient spruce one is going well too.. the finish is polished up and the neck is back on ready for measuring and fitting the bridge. 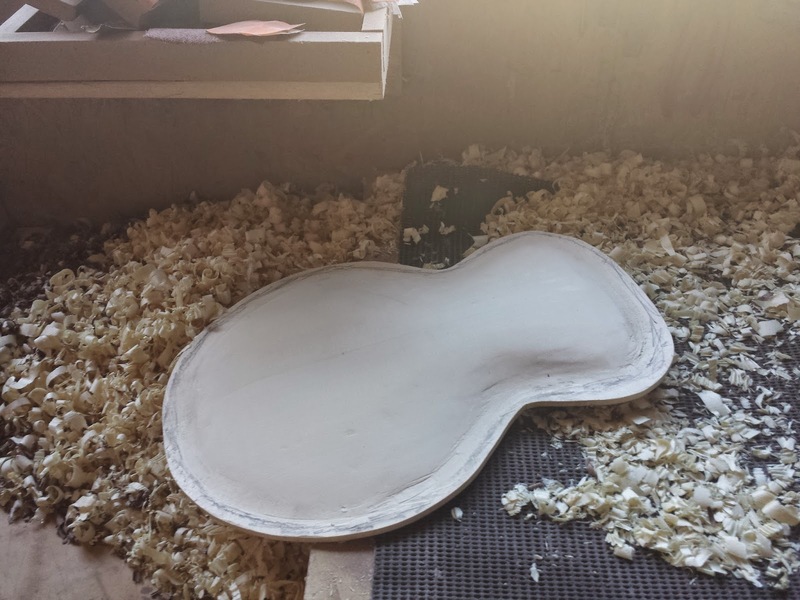 Might even be playing music next week..
My weekend working with Joe Egan of Egan Custom Guitars turned out great lots of good tips and progress carving the top and back for the Archtop Tenor Guitar I have in mind. Joe estimates a novice takes up to 40 hours for the top and similar times for the back. 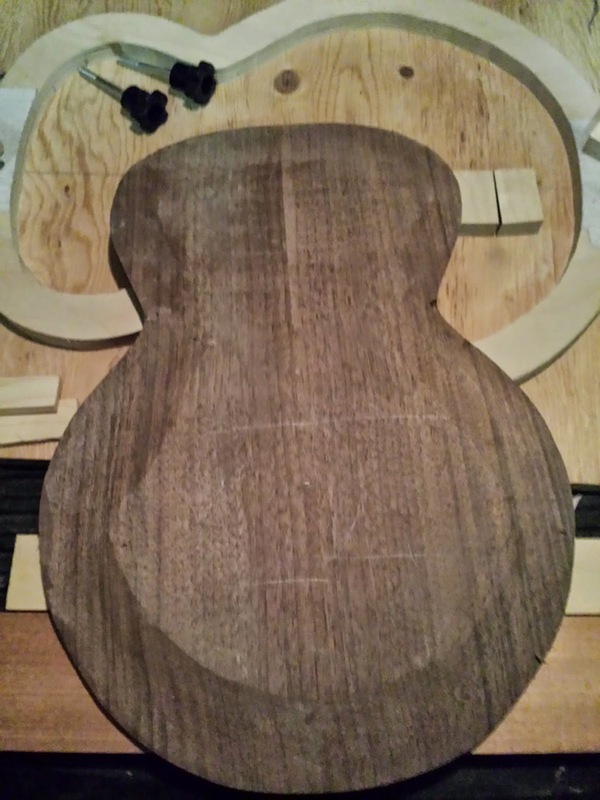 I've got about 15 hours into the top and maybe a 2 into the back so lots left to do but the top is looking like it should, just really a bit more graduation to do and then once it is glued to the sides the recurve can be finalized. It's been fun even if it has caused a good number of blisters..
See What I can Make with These? I'm spending the weekend with Vancouver Island Luthier Joe Egan, hopefully ha can pass on some of hi skill in archtop building.. I've Spent the last few days putting on coats of Royal Lac Shellac.. Hopefully after the weekend they will be cured enough to start polishing. 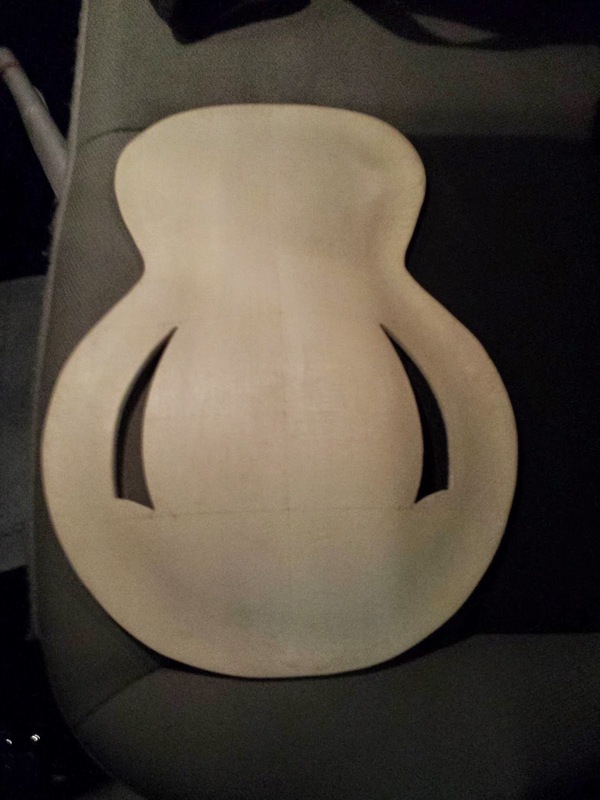 So this thing is looking more and more like a Tenor Guitar.. I finished the arm bevel. The base is a piece of Bass Wood and it is topped with flamed maple, all the binding miters were fun to do (oh and yes the bindings are done..)..
Next it was time to carve the neck, I always like doing this, it's actually kind of relaxing..